More than almost any other industry, financing for the bioeconomy is heavily influenced by and, in many cases, reliant on favorable public policies. Everyone involved in the bioeconomy – companies, entrepreneurs, visionaries, vendors, employees, and local communities – should be aware of, keep track of, and speak up for their interests about public policy issues that affect the bioeconomy. This goes for all issues related to the bioeconomy. Some companies advocate aggressively for a single issue, such as the Renewable Fuels Standard (RFS), but are missing in action on other issues. Federal support (and state support as well) is made up of a network of programs. Lose one program, and opponents become emboldened. They step up attacks on other programs, and support for the bioeconomy begins to weaken through a process of attrition. It’s a jobs issue. It’s also a local tax revenue and economic development issue. And it’s a global competitive issue. A single change to an existing public policy — say, adding or removing an economic incentive, tax deduction, production credit, accelerated depreciation, research and development or incubator program, grant, or low-interest loan guarantee — can create or eliminate markets, turn a profitable product into a loser, and launch or kill a promising project. • the costs of debt service. I am a registered lobbyist who has lobbied on and off for 40 years at the state and federal levels on issues affecting agriculture, energy, the environment, and the bioeconomy. I often am stunned by how few companies in the bioeconomy industry and, in particular, how few communities that can benefit from bioeconomy projects, give adequate – or any – attention to the funding changes, threats, and opportunities that arise with each state and Congressional legislative session. Another purpose is to provide tips on how every person reading this article can become an effective advocate for the bioeconomy at the local, state, and federal public policy levels. More than $25 billion in bioeconomy funding at the federal level almost was lost this year due to complacency. The U.S. House of Representatives and the subcommittees of the Senate Appropriations Committee passed spending bills in July 2017 for fiscal year (FY) 2018 federal agency spending that were targeted at eliminating or severely curtailing the funding, staff, and programs at the U.S. departments of agriculture (USDA), defense (DOD), and energy (DOE) that underpin federal government support of the bioeconomy. The programs targeted are those that fund research and development, piloting and prototyping, and commercialization of new bioeconomy technologies, products, and projects. The same programs also are key to maintaining U.S. leadership in technological innovation and our nation’s competitiveness in the global market. There were clear signals in early 2017 that the new administration planned to eliminate programs and funding for many federal government activities that support the bioeconomy. Yet very few Congressional offices, and virtually none of the House and Senate appropriations committee staff, heard an outcry – or anything – from constituents or the companies that would be affected by these policies. A few companies weighed in with members of the agriculture committees and ag appropriations staff on the agriculture programs but were silent on the threats to programs at other agencies. No outcry. No constituents swamping Congressional phone lines to voice their opinions. No requests for meetings with staff. This inaction on the orphaned programs sent a clear signal: These programs were not a priority. No one cared if they stayed or went. Hence, the funding could be better spent elsewhere. I was assuming – as many other company CEOs must have been doing – that someone certainly was watching what was going on and was doing something to prevent these cuts. I was wrong. Passage of the FY2018 appropriations bill by the House in mid-July 2017 was my wakeup call. When I began meeting with Congressional staff at the beginning of the August recess, I learned that, in far too many cases, I was the first person to visit their offices to discuss several programs, or only the second or third person who had taken time to explain the value of these programs and the impact their loss would have on the economies of local communities and the U.S. This was five months after the FY2018 budget process had started. I joined forces with the coalition, developed by Taite McDonald of Holland Knight, Mark Riedy of Kilpatrick Townsend, and other industry leaders, and took on a principal role in visiting offices on Capitol Hill. The coalition and I worked together to develop a one-page list of bullet points showing how the majority of these programs more than pay for themselves, generate revenues for the U.S. Treasury, and stimulate private investment, all of which exceed the cost of these programs and any savings that could be realized by eliminating them. These arguments finally turned the tide. Funding for all of the DOE and USDA programs that had been on the chopping block were restored – in full – in the FY2018 omnibus spending bill passed by Congress and signed by the President in March 2018. Programs at DOE that had been under attack also were targeted for elimination, and draconian cuts were proposed to the DOE’s advanced research, energy efficiency, renewable energy, and Title 17 loan guarantee programs in the administration’s 2019 budget. Congressional Republicans, however, ignored these requests, and actually increased the budgets for several programs, including the DOE’s Advanced Research Projects Agency – Energy (ARPA-E) in the FY2019 spending bills passed by the House and Senate in June 2018. This was a testament to the work that had been done to save these programs by a highly knowledgeable, tightly focused coalition of a handful of people in the second half of 2017 and early 2018. For USDA, the Farm Bill that Congress crafts every five years to fund the USDA’s programs, was passed by the House and voted out of committee in the Senate in June 2018. Two bioeconomy grant and loan guarantee programs that had been threatened by staff eliminations in the FY2018 spending bills still are in place, as is the staff to run the programs. The House Farm Bill, however, eliminates mandatory funding for these programs and instead provides discretionary funding that must be appropriated by Congress each year. Such funding historically has been approved only once, for a single year. The Senate Farm Bill keeps mandatory funding for both programs. However, one of the programs has mandatory funding only for FY2019 and FY2020. Next stop for the Farm Bill is floor debate and passage in the Senate, followed by conferencing of the House- and Senate-passed bills to resolve differences. It is too late to do anything about these funding levels. There is only one option now: to make an all-out effort to influence the House and Senate conferees to allow the Senate language for these two programs to prevail … and hope for the best. Every person’s voice is important. Each person who reaches out to his or her policymakers can make a difference. Assuming someone else will do it is a mistake. The more people who reach out, and the more people who take the time to craft and make a quick, easy-to-understand, compelling argument to support their views and requests, the better. My purpose in writing this article is to avoid additional close calls with future spending bills, and the paring back of programs and their funding as has occurred with the 2019-2023 Farm Bill. The programs and funding that stimulate innovation, support research, provide an initial boost to new entries in the marketplace, and support advancements in the bioeconomy still are under attack and seem destined to be under attack – at all levels of government – for some time to come. There are many conflicting and opposing interests who are well established, well funded, and well connected. This opposition can be met head on, and if not overcome, at least mitigated. Every person who speaks up to support public policies that will have a positive effect on the bioeconomy and speaks out against public policies that will have a negative effect can make a significant difference. Your effectiveness, and your ability to get your message across, however, depends upon how you do it. I’m going to tell you how. Inasmuch as I’m a registered lobbyist, and I sell my expertise, why would I give it away? I can be much more effective if I walk into a meeting to discuss a subject that has become a hot issue, or that members of Congress and their staffs have been hearing about. You can be much more effective in those circumstances as well. It is much harder – and often impossible – to make a difference when I am the only person trying to raise an issue, especially if the administration, other lobbyists, and members of Congress are trying to rip it apart. Encouraging others to reach out and generate calls are key parts of any legislative strategy. Lobbying involves education, psychology, networking, ally- and relationship-building, creating a bullet proof case built on a solid foundation of verifiable data, and making well reasoned, easily understood, compelling arguments for policies that will have a positive effect and against policies that will have a negative effect. The best arguments are those that demonstrate how jobs, wages, and the economies of communities will be impacted in a congressional member’s district or state. A key element of success is knowing how to – and how not to – approach policymakers. Let’s illustrate these. 1. Join all industry groups that work on behalf of your interests. The more members they have, and the more member dues and contributions they receive, the more effective they can be. But do not let your involvement in political activities begin and end with your dues payment. Pay attention to legislative alerts. Do everything you can to follow the industry group’s lead in keeping your priorities on the minds of local, state, and federal policymakers. Participate in annual lobbying days at your state capitol and the U.S. Congress. 2. Recognize the difference between lobbying at the local, state, and federal levels. • At the city, county, and state levels, meet with and speak directly to policymakers. • State legislators have other jobs and serve in their state legislatures only a few months a year. To be effective, reach out to them, and spend time at their receptions and fundraisers before the legislative session begins. Once the session begins, legislation often moves at lightning speed, and opportunities to spend more than a few minutes with a legislator to make your case are limited. Be prepared with quick, walk-with-me-down-the-hall and ride-with-me-in-the-elevator pitches, backed up with a one-page, bulleted handout. • At the federal level, knowing and talking with members of Congress is less important than knowing and talking with the staff members responsible for the legislative areas in which you are interested, and the professional staff of the committees and subcommittees devoted to those legislative areas. • Members of the House and Senate set the priorities, make the decisions on how they wish to influence upcoming and pending legislation, direct staff activities, and make the votes that count. • All the work in the U.S. Congress is conducted by staff. They are charged with understanding the details of legislative actions, crafting the language and making the arguments in subcommittee and committee meetings to support their member’s position, and working with other staff to move initiatives forward. They work long hours and can get swamped with demands pulling them in many directions. • Whatever you want done in Congress, there is a group of staff members who will make it happen or prevent it from happening. You can meet with a member of Congress and he or she will direct his or her staff to work out the details with you. That is the top-down approach to getting things done. • The other approach, which I often have found to be much more successful, is the bottom-up approach. Staff members, despite the demands they face, have more time to spend listening to arguments pro and con, new ideas and approaches, and requests. If you make a compelling argument, they will take it to their bosses. If they like what you have said, and see its benefits, they will become strong advocates, not only with their bosses but with other offices as well. Once they get a green light from their bosses, they’ll sit down to work out the details with you, while providing critical guidance on strategy. 3. Keep in mind that each office and each member of Congress is different. There are no hard and fast rules, only generally applicable ones. Which leads to a key point: be sure you’ve studied everything you can about a member of Congress – his or her background, priorities, committee assignments, and accomplishments – before setting foot in the office. What you say and do in one office can backfire in another office. The trick is to recognize that every issue has multiple facets; your success hangs on being able to select and emphasize the facets of the issue, and to adjust your emphasis and strategy, in ways that will fit with and appeal to each office. 4. Waiting for a crisis before reaching out to House and Senate offices is a mistake. There is a months-long (sometimes years-long) legislative process that begins with the requests and priorities each member of Congress sets. This leads to subcommittee debate, priority setting, and drafting of the initial language that is introduced in a bill. Next come the subcommittee, committee, and floor votes that move bills forward, which are then conferenced to resolve differences between bills from the two chambers. 5. Starting early is particularly important for appropriations. The annual appropriations process begins in February each year. It’s wise to have your planning, strategy, and key talking points ready by January. Same with your staff contacts in each office. Having the figures from the previous year’s appropriation and the administration’s budget request is useful. 6. To be effective, you need to voice your support for the programs that affect you early in the process and throughout the process. This advice extends from suggesting program priorities (as well as improvements and fixes) and commenting on bill language each step of the way right through conferencing. Legislation tends to be worked out well in advance of floor consideration and, often, is considered in big packages. The key step in the process is getting your item in the package. That starts weeks and months in advance. 7. Have your key information ready in a concise form: what you’re asking for, why it’s important, any relevant congressional district and state impact, how much it costs, who else is on board, who opposes it. If someone opposes, be upfront: tell the staffer why someone opposes it and why you think your side is more persuasive. 8. Recognize that some issues pop up suddenly. When that happens, it isn’t possible to do early outreach. But if you already have established a good relationship with offices that can make a difference, and are keeping track of what is occurring with legislation affecting issues important to you, you can immediately reach out to those offices. 9. If Congressional offices don’t hear from supporters until a vote is scheduled, there may be little that can be done. The trade-offs that allow one program to go forward often are balanced by take-aways from other programs. 10. Programs receive priority because one or more constituencies have banded together and gained the support of their representatives to advocate for those programs. Preference will go to the programs that appeal most to members, do the most for their districts or states, generate the most positive publicity, and for which there is a clear constituency and consistent support. Be sure your request – and the program for which you wish to secure support – checks off as many of these positives as possible. Be sure you know how it competes – and/or fits in – with other programs that the office supports. If there are competing interests that oppose or wish to take resources away from the programs you support, be prepared to address the points being raised. 11. Use each member’s webform to request a meeting. You also may use the webform to request a meeting with staff. Or you may reach out to a staff member directly. If you do not know which staff member handles the issue in which you are interested, call the office to find out. 12. Schedule a brief, introductory visit before making a request. 13. Bring in constituents or explain why an issue is important to a member’s constituents. The most compelling arguments you can make are those solidly based on constituent interests, and how the request you are making impacts jobs, wages, and well-being, and the economic interests of the communities in which they live. 14. Don’t overdo a good thing. Having repeat meetings or prodding several members of a coalition to contact staff, only to make the same point repeatedly, makes a staffer less likely to act favorably. Reach out to staff if you have something new to add, if you find another compelling constituent angle, or if you have a valuable tidbit to share. Don’t forget to thank staffers when a bill is introduced that reflects your input and when a vote goes your way. For hammering home a point on an upcoming subcommittee, committee or floor vote, encourage others to call, write, or email their members of Congress. Keep these calls brief: 25 words or less to name the issue, the action occurring in Congress, and how you wish to have your member vote. Keep emails and letters brief, too. In terms of effectiveness, calls work best. 15. The seagull style of lobbying does not work. More damage than good is done when an individual swoops in, flaps his or her arms, squawks about what has or hasn’t been done, craps all over everything (other companies and interests, the legislative process, specific offices and parties, etc. ), then flies away to not be heard from again (until there’s another problem). • Making a request for a meeting or a legislative action without knowing anything about the office, a member’s interests and priorities, and the member’s recent activities and legislation. 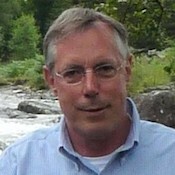 About the Author: Craig (CJ) Evans Craig is an accredited member of Lee Enterprises Consulting (LEC), the world’s largest bioeconomy consulting group with more than 100 independent experts worldwide. He works with LEC in preparing grants and loan guarantees and responses to requests for proposals, as well as for federal lobbying matters. Craig has 40 years of experience lobbying at the local, state, and federal levels. He has been involved in the approval of local policies and bond issues that provide incentives to private landowners to maintain productive farmland and endangered species habitats, along with model programs to develop “created wetlands” for waste water treatment in lieu of a typical waste water treatment facility, which have had the added benefits of becoming bird sanctuaries, havens for wildlife, and turned them into major tourist attractions for the counties in which they are located. At the state level, he has been involved in crafting grant programs to attract clean energy projects to the state and land use policies that allow all landowners in an area to benefit from the economic returns generated by development, without creating winners and losers, while using development as the engine to protect high priority habitats and natural areas. At the federal level, he has been involved in the legislation that created national recreation trails, allowed abandoned railways to be converted to trails, strengthened specialty crop programs, created conservation and energy title programs in the Farm Bill, and established the grant and loan guarantee programs at USDA and DOE that support the bioeconomy. Craig is the managing director of American Diversified Energy (ADE), a consulting firm with a team of 25 experts and roster of partner companies that provide an array of services to help companies win grants and loan guarantees, create attention-getting business plans and financial models, perfect investor and lender presentations, conduct feasibility studies, provide project management, and design and build biofuel, biochemical, advanced fossil fuel, aquaponic, and solar power and energy storage facilities.